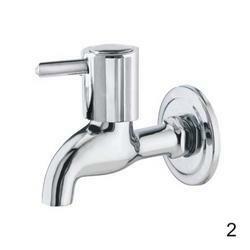 Pioneers in the industry, we offer ink taps, concealed stop tap, kitchen sink mixer and sink mixer from India. Having extensive industry experience, we are capable of providing our customers with Ink Taps. These are available in several designs, shapes, finishes and sizes at industry leading prices to meet the specific requirements of our customers. Apart from this, we provide customization to our clients as per the specifications detailed by them. 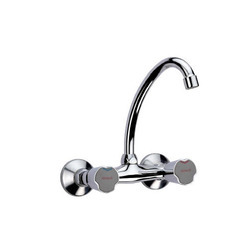 For meeting the diverse needs of our clients, we provide them with a qualitative range of Concealed Stop Tap. We manufacture all our products as per industry norms, using superior raw material and latest technology. Furthermore, we test every product on several parameters to ensure flawlessness. We manufacture a wide range of Kitchen Sink Mixer, which are used as bathroom accessories in various institutions, houses, hotels etc. These are designed and developed as per the application requirements of our clients. 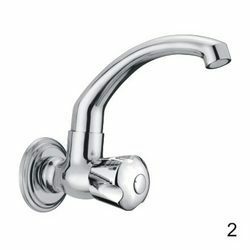 We are one of the leading manufacturers, suppliers and exporters of Sink Mixer that is made available in various designs. Offering supreme finishing, regulated water flow and operational fluency, these long lasting sink mixers are made in compliance with the predefined industry standards. We provide these dimensionally accurate sink mixers at industry leading prices. 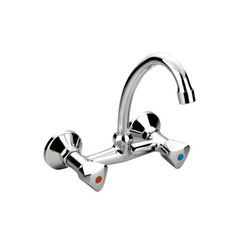 Looking for Kitchen Tap ?